One, two, three inflammation is over? 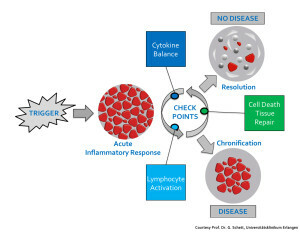 Checkpoints determine the resolution of inflammation. We assume that the resolution of inflammation warrants an exact and proper molecular control and must be considered as an active and highly organized process. Further, we hypothesize that appropriate resolution of inflammation is disturbed during chronic inflammation, resulting in self-maintenance of inflammation. Thus turning a normal physiological reaction of the human body into a possibly fatal disease. The current state-of-the-art research supports the existence of at least three interlinked molecular switches, which are necessary to contain and finally resolve the inflammatory reaction. 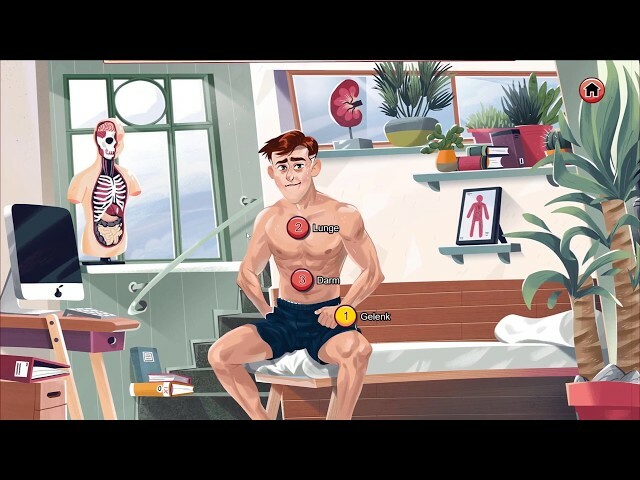 We assume that failure to appropriately contain inflammation leads to chronic inflammatory diseases such as arthritis, asthma or inflammatory bowel diseases, which in particular involve the inner surfaces of the body such as the joint, gut or lung.